As promised I reworked my last build to make a little more room for two kids! They do have to share a bedroom but it’ll be fine, lol. 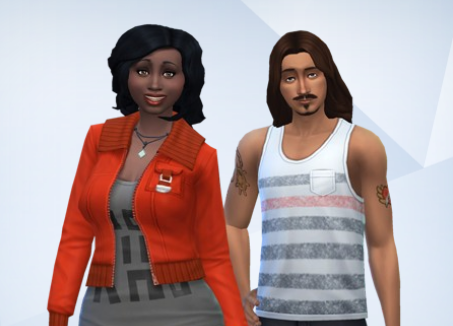 The family I sort of had in mind was Johnny Zest, his wife, Miyo, their daughters Kaila and Poppy, and beagle Napoleon. It was raining when I took these photos but I don’t mind – there was a nice fire in the fireplace and it just makes it feel a little more cozy! I don’t have much more to say but please take a look at the pics and check it out on the gallery! Note: PLEASE turn on MOO before you plop this puppy!